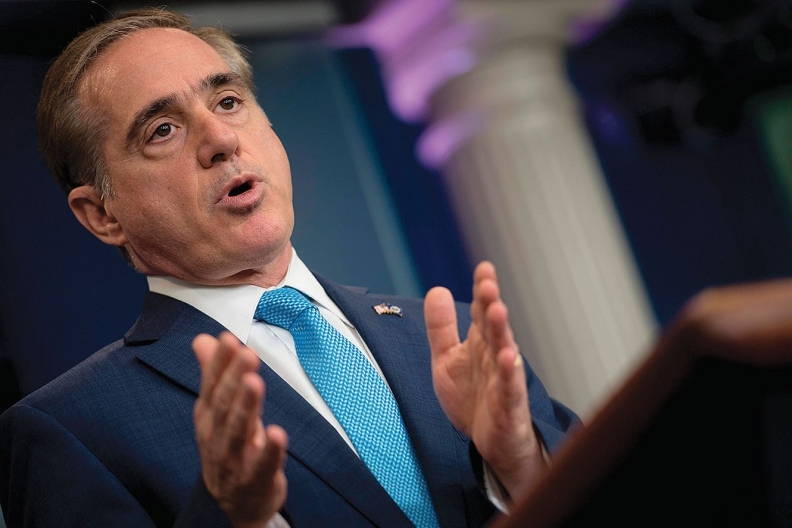 VA Secretary Dr. David Shulkin assured House lawmakers on Wednesday that the VA's new EHR system will result in greater interoperability between both the VA and the Defense Department as well as the VA and community providers. The Veterans Affairs Department and Cerner Corp. will soon finalize their contract for the VA's new electronic health record system. In a hearing before the House Committee on Appropriations, Shulkin said the VA needs to engage with other EHR vendors besides Cerner to improve VA interoperability with community providers, where a third of VA care is now delivered. That includes crating a "digital health platform" that will help link the VA's EHR with outside vendors' software. "The adoption by such a large health system of a commercial platform is certain to drive increasing data exchange and data sharing for our veterans and civilians alike," said Christopher Longhurst, chief information officer of UC San Diego Health. Indeed, Shulkin said the Defense Department and the VA could lead the country's interoperability efforts. But that will take time, especially since it will be at least ten years before the VA's implementation of Cerner Millennium is complete—a timeline that made some House members anxious. Rep. Debbie Wasserman Schultz (D-Fla.) suggested that the VA's EHR implementation may inadvertently run late, but Shulkin predicted that it would take 18 months after the contract is signed for the first site to go live with the new system and eight years after that for it to be live across all VA sites, a project estimated to cost $10 billion. "There is no doubt that we are being aggressive with this," he said. It's in the VA's best interest to stay on track, Shulkin suggested, noting that "the longer we take to implement this, the more costly it is and the greater the risk to veterans." The Defense Department's EHR implementation will guide VA's efforts, Shulkin said. The agency plans to run its homegrown EHR system alongside the Cerner system for "the foreseeable future," Shulkin said. VA will only take down VistA sites one at a time when it's sure the new software is up and running successfully. There are still 37 subsystems the VA has yet to figure out how to transition away from VistA, Shulkin said. Beyond achieving some level of interoperability between the VA and community organizations, the VA also intends to make health data travel more easily between itself and patients. "The ability to access your record via phone- and web-based (platforms) is at the forefront of the contract we're pursuing," said John Windom, who was in charge of the Defense Department's Cerner acquisition and is the VA's executive director for EHR modernization. Eventually, that information will be "altogether on your iPhone," said Scott Blackburn, the CIO of the VA's office of information and technology. That kind of data sharing raises security questions. Though Blackburn admitted that "the VA does not have a great track record" for cybersecurity, part of the trouble comes from the fact that there are so many instances of VistA. In the future, to further secure health data, the VA will look at emerging technologies including blockchain.